5. 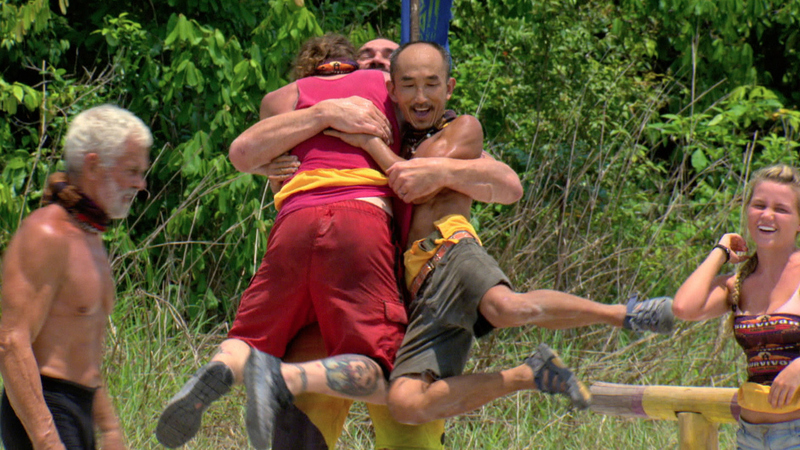 At this point, which castaway would you consider to be the best all around player, and why? Debbie: "I love Tai. He’s so unpredictable but, yet, the guys forgave him for voting for Jason to the point that they give him a second Idol. He's strong. [During] that crucifixion where we had to hold our hands up, he really hung in there. And, you know what? I really just love him and that damn chicken, Mark. I think Tai’s a big threat. Plus, he’s just so cute."